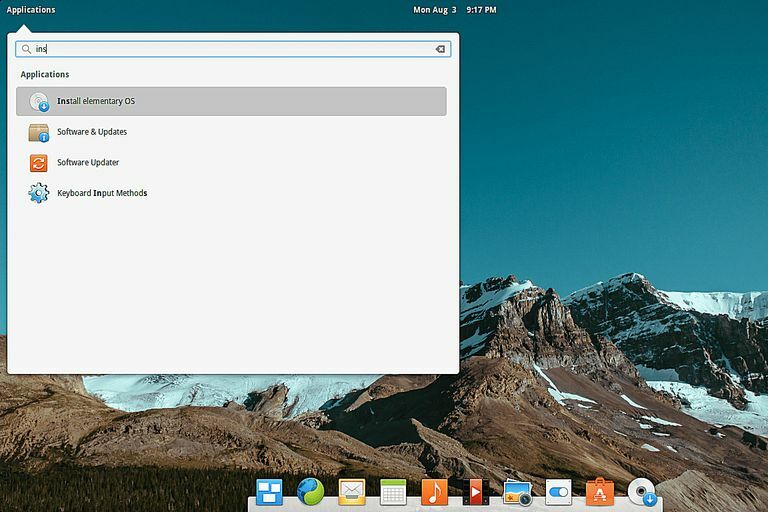 What Are the Steps Involved for Installing Elementary Os? Installing ElementaryOS alongside Windows 8 / 8.1 is actually fairly straight forward. Insert the bootable Elementary OS USB drive into your computer. Right click on the start button in the bottom left corner (or if there isn't a start button right click in the bottom left corner). Uncheck the "Turn on fast startup" option. Hold down the shift key and reboot your computer. (keep the shift key held down). Choose the "Try Elementary OS" option. If you are using an ethernet cable directly plugged into your router then you should automatically be connected to the internet. If you are connecting wirelessly, click on the network icon in the top right corner and choose your wireless network. Enter the security key. In the search box type "install"
Click on the "Install Elementary OS" icon. Choose your language from the list provided and then click on the "Continue" button. A list will appear showing you how prepared you are for installing Elementary OS. Has your computer got 6.5 gigabytes of disk space? In all honesty the only one of those that 100% matters is the disk space. You should hopefully have more than 6.5 gigabytes of space available. We recommend at least 20 gigabytes. Your computer only needs to be plugged in if the battery is likely to run out during the installation (or indeed if it is a desktop computer) and the internet connection is only required for installing updates. There are two checkboxes at the bottom of the screen. Generally, it is a good idea to download updates whilst you are installing the operating system so that you can be assured your system is up to date post installation. If however, your internet connection is poor then this will slow down the entire installation and you don't really want it crashing halfway through. Updates can be downloaded and applied post installation. The second option will enable you to play music that you have either downloaded from the internet or converted from CD audio. We recommend keeping this option checked. The "Installation Type" screen is the section that lets you determine whether you want to install Elementary as the sole operating system on the computer or to dual boot it with another operating system (such as Windows). If you want to dual boot Elementary OS and Windows choose the first option. If you want Elementary to be the only operating system choose the second option. The something else option lets you choose more advanced settings such as the creation of custom partitions. Only use this option if you know what you are doing. Click "Install Now" when you have decided what you want to do. A large map will appear. Click on your location within the map. This is used to set up your clock within Elementary OS. If you get it wrong, don't worry. You can change it again later when Elementary OS boots up. You will now be required to choose your keyboard layout. In the left pane click on the language for the keyboard. Then in the right pane choose the keyboard layout. There is a "Detect Keyboard Layout" button. Use this if you are unsure which options to choose. Test out the keyboard by typing into the box provided. Specifically try symbols like the pound sign, dollar sign, euro symbol, and hash key. The final step in the process is to create a user. Enter your name into the box provided and then give your computer a name. Enter a username used to login to the computer and provide the password that you want to associate with the user. You will need to repeat the password. If you are the sole user of the computer you can choose to let the computer automatically log in. We highly recommend never choosing this option. Choose the option to "Require your password to log in". In the Installation Type step you had the option to encrypt the entire installation. This would encrypt all the system folders for Elementary. Encrypting the home folder just encrypts the folders where you will install your music, documents and videos etc. The files will now be copied and any updates will be applied. When the installation has finished you will be given the option to keep using the live USB or to reboot into the installed system. Reboot the computer and remove the USB drive. At this stage a menu should appear with options to boot into Windows or Elementary OS. Try Windows first and then reboot again and try Elementary OS. If after following this guide your computer boots straight to windows follow this guide which shows how to fix the UEFI bootloader so that you can boot Linux.